Almost everyday, game developers are confirming Linux support for their games based on the popular Unity3D game engine. We have covered many Unity games in past that have confirmed Linux support. Now two new Unity based games, Distance and Sir, You Are Being Hunted have confirmed Linux support recently. Both these games are on Kickstarter and it looks like they will be successfully funded when their crowd funding campaign ends. Distance is a survival racing game that combines the intense action of arcade racing with the exploration of an atmospheric world. You control a unique car that allows you to boost, jump, rotate, and even fly through a chaotic and twisted city. The world has a mysterious history, and as you explore you'll be able to uncover pieces of its past. The game is made by developers behind the hit racing game Nitronic Rush. 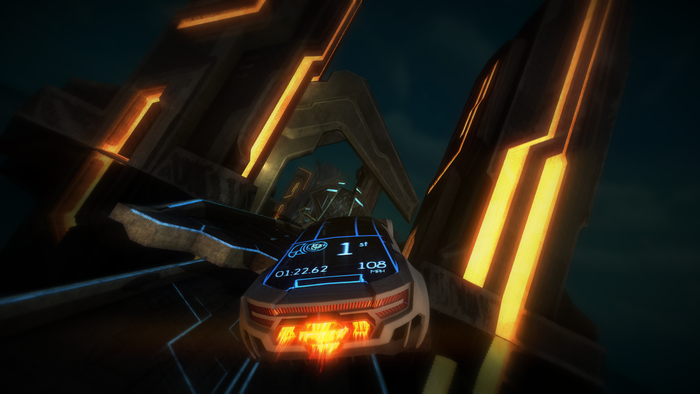 Distance will be supported on supported on Windows, Mac and Linux platforms. We’re excited to announce that Distance will officially be supported on Linux! We tested Distance using the Unity 4 beta, and we feel confident that we can safely bring Distance to Linux. You can grab a copy of Distance by pledging $15 or more on Kickstarter. Expected date of release is August 2013. Sir, You Are Being Hunted is a single-player first-person game of desperate survival in a world where mechanical aristocrats hunt humans for sport. Some of the game features include exploration, non-linearity, AI interaction, survival, robots etc. You can pledge £10 or more on Kickstarter to ensure a copy for yourself. The game is expected to be released in July 2013.